No more excuses. Say goodbye to standard sizes forever. Why settle with just one when you can have them all? We believe in making the best Made to Measure shirts in the World. Why waste more time wearing ill-fitting dress shirts in off-the-rack sizes, when you can get them in your perfect fit at the same price? 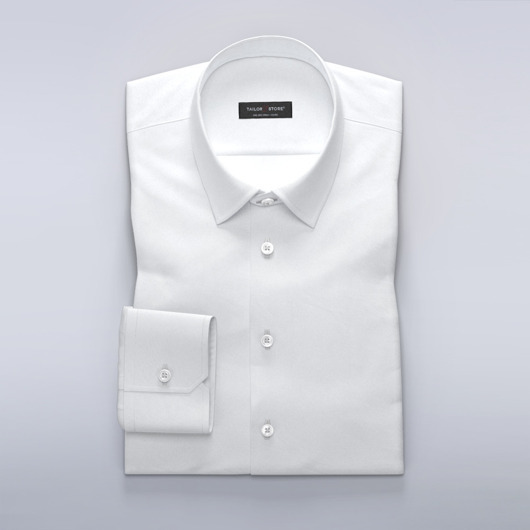 Wearing a Tailor Store Made to Measure dress shirt is an experience you’ll remember forever. From the first stitches to the last button there’s genuine work behind every single dress shirt we produce, with only you in mind. Let Size:me calculate your measurements. Download and install the free Size:Me app to your smartphone and let our algorithm precisely calculate your clothing measurements. Choose a shirt from the models, or any shirt fabric. Our experienced tailors cut and make your new shirt. Not quite sure which dress shirt is the one for you? Get inspired by our best sellers ranging from Islington to Savile row, all offering a top quality look and feel. Become a Tailor Store member for free and get exclusive promotional offers and news via email. You will also get the chance to learn more about the craft of tailored clothes and our CSR work, and why tailor-made clothes are better for you and our environment.